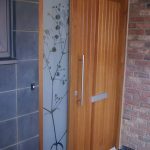 We created this half glazed Fused & Etched Tree Of Life for one of our regular clients. 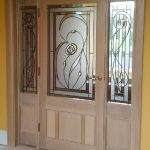 The client from Melton Mowbray has bought lots of glass from us for internal doors over the last few years. 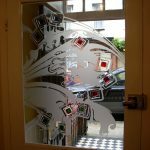 The client has 2 versions of this design used in internal doors going to and from the living room. 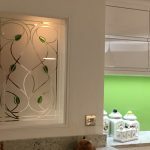 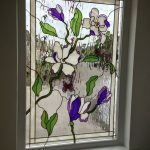 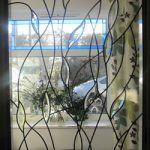 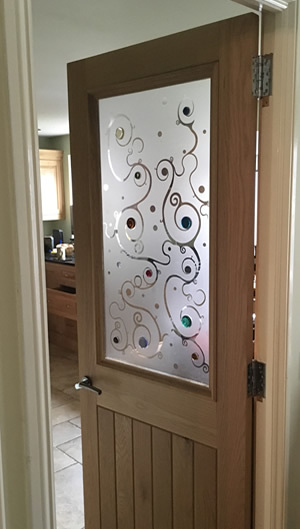 The design is our 544 design and it is created with a sandblasted glass background with all of the curves and swirls being clear glass. 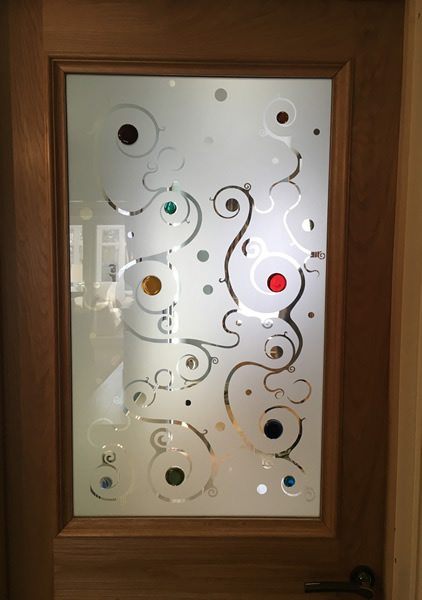 The coloured circles are fused glass circles and these take 18 hours to make by hand in our studio. 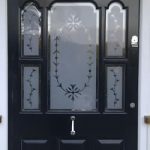 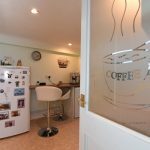 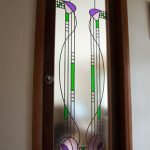 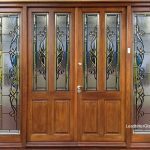 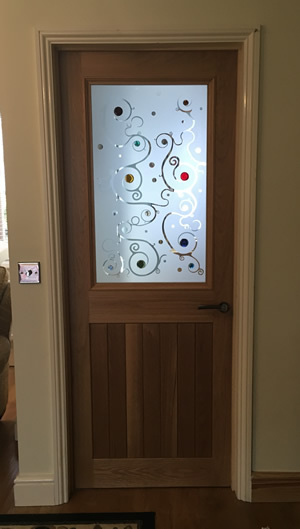 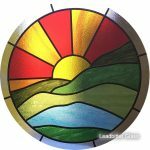 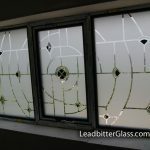 Leadbitter Glass Creates Paddington Bear’s Front Door Glass!